After 3 years, they had over 100 bikes and 3 types of protectors in their product range. model: 2007-2014 - 990 Adventure. They continue to work with racing riders, teams and professional bikers and have important knowledge of making and improving all their products. GIVI TN1164 MOTORCYCLE ENGINE CRASH BARS HONDA CB 125 R 2018. GIVI ENGINE GUARDS FOR MOTORCYCLE MODEL:CB 125 R - CB 125 RNeo Sports Café. 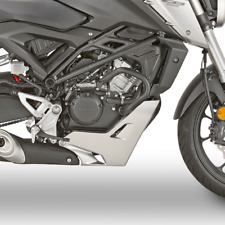 GIVI ENGINE GUARDS FOR MODEL YEAR:2018 - 2019. GIVI ENGINE GUARDS COLOR: BLACK. YAMAHA MT-09 Tracer 2015-2018. YAMAHA FJ-09 Tracer 2015-2018. -After the bottom of the screw shaft - replace the OEM original - two head screw tooth & nut (the left need 10 mm aluminum ring/right need 20 mm aluminum ring ). GIVI TN1160 MOTORCYCLE ENGINE CRASH BARS HONDA CMX 500 REBEL 2018. GIVI ENGINE GUARDS FOR MOTORCYCLE MODEL:CMX 500 REBEL. GIVI ENGINE GUARDS FOR MODEL YEAR:2017 - 2018 - 2019. GIVI ENGINE GUARDS COLOR: BLACK. R&G Aero Bobbins are a stylish, aerodynamic, teardrop shaped bobbin improving on the original good looks of highly successful and popular standard round bobbins. 2017 > 2018. AERO-STYLE CRASH PADS. KAWASAKI Z 900. KTM 1290 Super Adventure 2015-2016. KTM 1290 Super Adventure R 2017-2018. KTM 1290 Super Adventure S 2018. KTM 1290 Super Adventure T 2017. 1 x Front Axle Sliders. 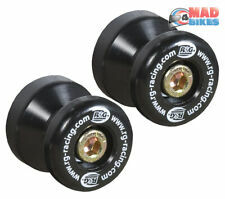 1 x Rear Axle Sliders. KTM 1190 RC8 R Race 2012. GIVI PART NUMBER:SLD01AL. Designed and Manufactured in Italy by GIVI the world leaders in Quality Motorcycle Accessories. Laser Cut GIVI logo engraving. reinforced in Fiberglass with beautifully crafted CNC made Anodized Aluminium inserts. Suitable for the Kawasaki Z900 2017-2018 models.NOT RS MODELS. R&G Aero Bobbins are a stylish, aerodynamic, teardrop shaped bobbin improving on the original good looks of our highly successful and popular standard round bobbins. KTM 1290 Super Duke R 14-UP. -- Type: Engine Case Slider. 1 Pair x Engine Case Slider (Right & Left). Crafted from High Density Nylon for strength, durability and good looks,The covers simply bolt on over the original engine casing. For KTM 1290 Super Adventure 2015-2016. For KTM 1290 Super Duke GT 2016-2019. For KTM 1290 Super Adventure R 2017-2019. For KTM 1290 Super Duke R 2013-2019. For KTM 1290 Super Adventure S 2017-2019. 1 x Front Axle slider. Product Code: FP0030BK. 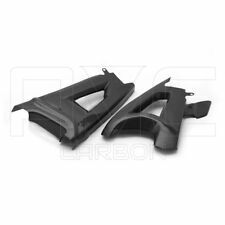 These fork protectors are suitable for the Yamaha YZF-R6 '05-'16 & YZF-R1 '02-'14 (not compatible with the YZF-R1 SP models) and T-MAX 530 '15-. Fork Protectors. Bike: YAMAHA. For KTM 1290 Super Adventure 2015-2016. For KTM 1290 Super Adventure R 2017-2018. For KTM 1290 Super Adventure S 2017-2018. For KTM 1090 Adventure R 2017-2018. 1 x Rear Axle slider. For KTM 1050 Adventure 2015-2016. KTM SMC 690R Supermoto 2012-2016. KTM 950 Supermoto 2005-2008. 1 x Front Axle Sliders. 1 x Rear Axle Sliders. KTM 990 Supermoto 2011. KTM 950 Duke 2004. KTM 990 Supermoto R 2011. 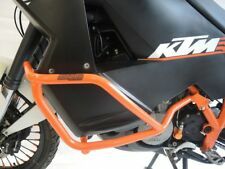 KTM 950 Adventure 2002-2006. Ducati Diavel 2011-2018. 1 Set x Rear Axle Slider. FOR DUCATI MODELS Ducati 1199 Panigale 2012-2015. Ducati 1299 Panigale 2015-2017. Ducati XDiavel 2016-2018. Ducati XDiavel S 2016-2018. Ducati Monster 1200 2014-2018. SUZUKI GSX-R 600 K6 K7. CLASSIC-STYLE CRASH PADS. Material: Steel core and mounting brackets. Nylon body. • The product is sold with regular invoice and manufacturer's warranty. • We encourage you to check the manufacturer's website for more information by referencing the manufacturer's part number. Ducati XDiavel 2016-2018. Ducati XDiavel S 2016-2018. 1 Set x Rear Axle Slider. FOR DUCATI MODELS Ducati 1199 Panigale 2012-2015. Ducati 1299 Panigale 2015-2017. Ducati Diavel 2011-2018. Ducati Monster 1200 2014-2018. 1 x Front Axle slider. For Ducati Monster 1200 R 2016-2019. For Ducati Monster 1200 S 2014-2019. For Ducati Monster 821 2014-2019. For Ducati Monster 821 Dark 2014-2016. For Ducati Monster 821 Stripe 2014-2017. R&G Aero Bobbins are a stylish, aerodynamic, teardrop shaped bobbin improving on the original good looks of highly successful and popular standard round bobbins. AERO-STYLE CRASH PADS. 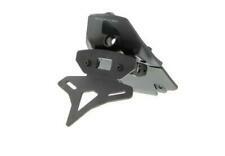 BMW F 800 R. Material: Steel core and mounting brackets. For KTM 1190 Adventure 2013-2016. For KTM 1190 Adventure R 2013-2016. 1 x Front Axle slider. For KTM 1050 Adventure 2015-2016. For KTM 1290 Super Adventure 2015-2016. For KTM 1290 Super Adventure R 2017-2019. For BMW R1200RT 2014-2018. 1 x Front Axle slider. For BMW R1200GS 2013-2018. For BMW R1200GS Adventure 2013-2018. For BMW R1250GS 2018-2019. (E.g. you brought wrong size or wrong item). Communication is the best way to solve problem. For KTM 1290 Super Adventure 2015-2016. For KTM 1290 Super Adventure R 2017-2019. For KTM 1290 Super Adventure S 2017-2019. For KTM 1290 Super Duke GT 2016-2019. For KTM 1290 Super Duke R 2013-2019. For KTM 1050 Adventure 2015-2016. For KTM 790 Duke 2018-2019. 1 x Rear Axle slider. For KTM 1050 Adventure 2015-2016. For KTM 1090 Adventure R 2017-2018. For KTM 1190 Adventure 2013-2016. For KTM 1190 Adventure R 2013-2016. For KTM 1290 Super Adventure 2015-2016. For Ducati Monster 821 2014-2019. For Ducati Monster 821 Dark 2014-2016. For Ducati Monster 821 Stripe 2014-2017. 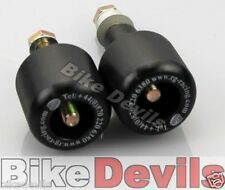 For Ducati Monster 1200 2014-2019. For Ducati Monster 1200 R 2016-2019. For Ducati Monster 1200 S 2014-2019. For BMW R1250GS 2018-2019. 1 x Front Axle slider. For BMW R1200GS 2013-2018. For BMW R1200GS Adventure 2013-2018. For BMW R1200RT 2014-2018. (E.g. you brought wrong size or wrong item). 1 x Front Axle slider. For Ducati Monster 821 2014-2019. For Ducati Monster 821 Dark 2014-2016. For Ducati Monster 821 Stripe 2014-2017. For Ducati Monster 1200 2014-2019. For Ducati Monster 1200 R 2016-2019. For BMW R1200RT 2014-2018. 1 x Front Axle slider. 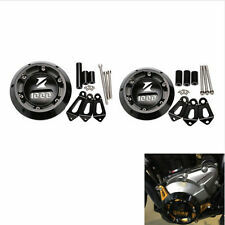 For BMW R1200GS 2013-2018. For BMW R1200GS Adventure 2013-2018. For BMW R1250GS 2018-2019. Communication is the best way to solve problem. (E.g. you brought wrong size or wrong item). For KTM 1290 Super Adventure 2015-2016. For KTM 1290 Super Adventure R 2017-2018. For KTM 1290 Super Adventure S 2017-2018. 1 x Rear Axle slider. For KTM 1050 Adventure 2015-2016. For KTM 1090 Adventure R 2017-2018. Genuine Yoshimura Right Side Case Saver GSR750 15> Slight Damage.